How does music allow us to connect with others? If waste did not exist, how would your lifestyle be changed? Poverty is a necessary evil – do you agree or disagree? 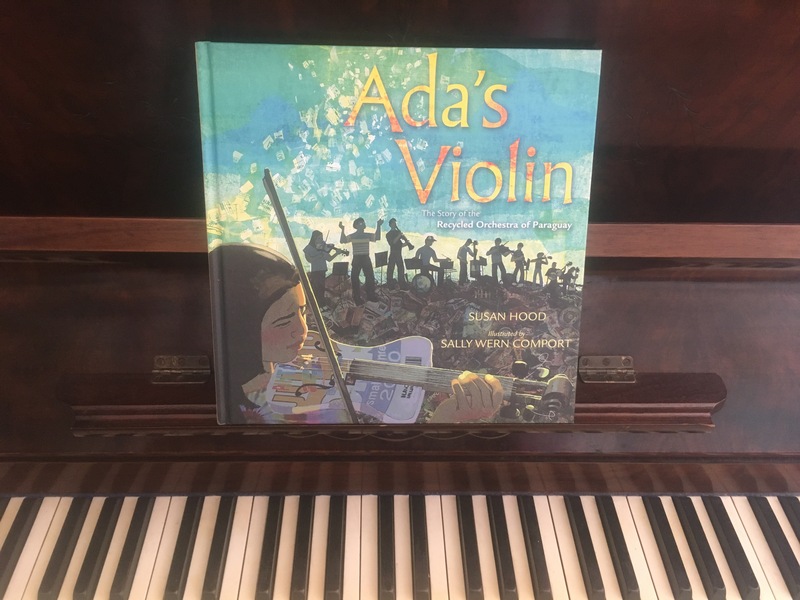 Ada’s Violin (The story of the Recycled Orchestra of Paraguay), written by Susan Hood and illustrated by Sally Wern Comport is a true story is told about the people who live in Cateura in Paraguay, a town on the edge of a garbage tip. Have you ever wondered what happens to all of the rubbish you put in your bin? I am sure many of us never put a second thought to it, especially if you live in a developed country where tips are away from human habitation. What we put in our bins should be on our mind as landfill is taking up more space with more things that will never break down. In a perfect world there would be no landfill as people would make their own food, recycle, reduce consumption and reuse products themselves or gift to others what they don’t need. In the story of Ada’s Violin, The main character who is a young girl named Ada lives on the edge of the tip and often views the garbage truck as a vehicle of surprises – it could be full of toys, jewellery or even plastic which had a going rate of ten cents per pound. Ada’s grandmother notices a sign up for music lessons and promptly enrols Ada but a large problem arises – the lack of instruments to learn on. It was the creativity and persistence of Senor Gomez , Tito Romero and Senor Chaves that led to the creation of instruments made totally from junk ! After many hours of practise the Recycled Orchestra was born! This orchestra has since toured the world, enthralling audiences with their talent, amazing sound and ability to rise up from the poverty that bequeathed them. So what can you do with this story? OI.3: Sustainable patterns of living rely on the interdependence of healthy social, economic and ecological systems. OI.4 : World views that recognise the dependence of living things on healthy ecosystems, and value diversity and social justice, are essential for achieving sustainability. Investigate where your landfill goes in your neighbourhood. Are their any tips that recycle rubbish? Investigate how long different items take to break down. Investigate poverty in the world – how many people in the world are living on the edge of a tip? How many people live off a tip. Is it fair that people live like this? Reflect on your own waste habits – do you do enough to minimise landfill? Keep a rubbish diary and note how much you throw out to waste for a week. How much do you recycle? Use for compost/wormfarm/backyard animals? Create your own instrument out of rubbish. How can you make it solely of rubbish? What can you use for glue? binding? Investigate the word ‘recycled’. What does it mean to you? What did it mean to Ada? Explore how we can go beyond the meaning in the dictionary depending on perspective and context. Investigate the word ‘orchestra’ . What does it mean to you? What did it mean to Ada? Explore how we can go beyond the meaning in the dictionary depending on perspective and context. What does this quote mean to you? They had discovered the surprise waiting in the landfill. Buried in the trash was music. And buried in themselves was something to be proud of. How do the illustrations help the story? Explore different pages throughout the book to highlight how they work together. ** Create your own recycled instrument, write a description of it – how it looks, how it is made and the items you would need to create it. ** This is a story about music. Does it make music throughout the story? 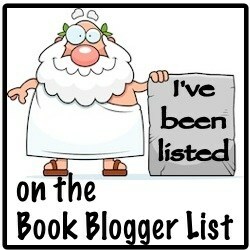 How does this book sound? Explore musical words and sounds throughout the story. What does recycled mean? What does orchestra mean? Who recycled? Who is part of an orchestra? Where did this recycling take place? Where can orchestra’s be? What did they recycle? What music did they play? Why did they recycle? Why did they want to be in an orchestra? What were the results of the recycling? What were the results of creating this orchestra? Problem #1: There were not enough instruments for the children. Problem #2: It wasn’t safe for the children to have expensive instruments. Problem #3: There were no classrooms. • Problem #4: The children struggled as they learned to play their instruments.